There is no external sharing capability – you aren’t able to serve video to users who are not licensed as per the above. There may be some change in the licenses required in future, but at launch these are the only ones supported. 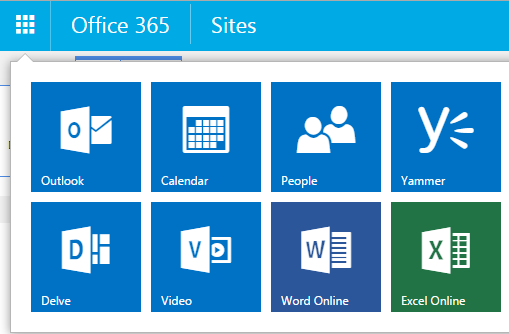 Note that you don’t need to have an Azure subscription to make use of this Office 365 feature. 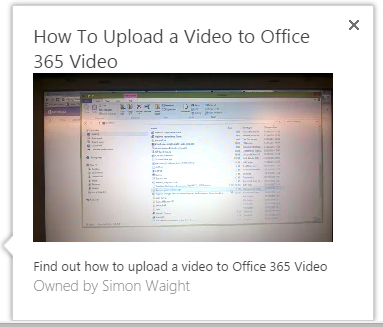 When Video is made available in your tenant it will show in either the App Launcher or Office 365 Ribbon. Like any well-managed Intranet it’s important to get the structure of your Channels right. 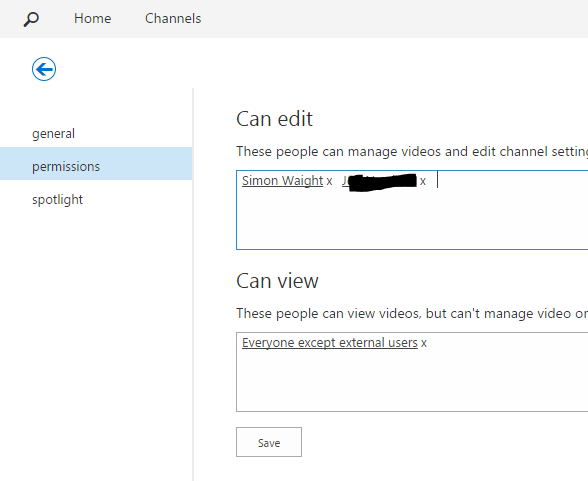 At this stage there is no functionality to allow us to create sub-channels so how you create your Channels will depend primarily on who the target audience will be as a Channel is logical container than can be access controlled like any standard SharePoint item. There are two default Channels out-of-the-box but let’s go ahead and create a new one for our own use. Once completed we will be dropped at the Channel landing page and have the ability to upload content or manage settings. I’m going to modify the Channel I just created and restrict who can manage the content by adding one of my Kloud Colleagues to the Editors group (shown below). 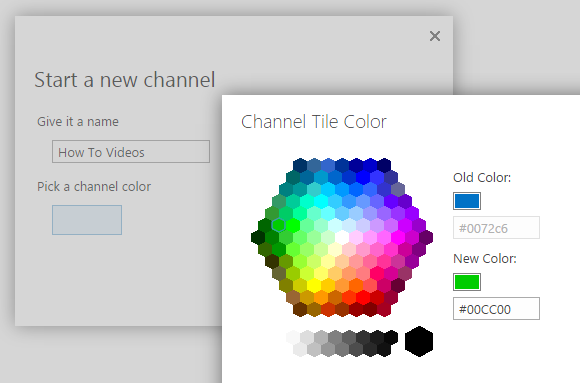 Now we have our Channel configured, let’s add some content. When you see the page below make sure you scroll down, set the video title and description (note: these are really important as they’ll be used by SharePoint Search and Delve to index the video). Then you need to wait… time to complete the cross-encoding depends on how long the video is you’ve uploaded. Once it’s completed you can play the video back via the embedded player and, if you want you can cross-post it to Yammer using the Yammer sidebar (assuming you have Yammer and an active session). You also get preview in search results and can play video from right in the preview (see below). This is very early days for Office 365 Video – expect to see a lot richer functionality over time based on end user feedback. 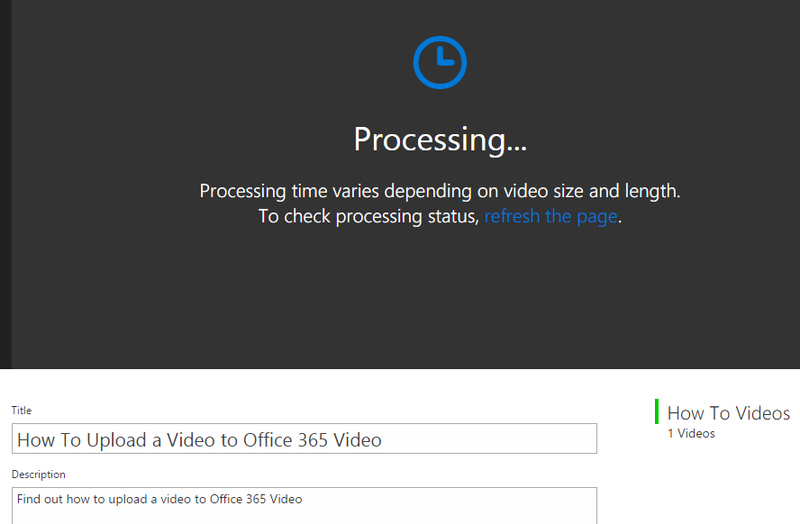 The Office 365 Video team is listening to feedback and you can provide yours via their Uservoice site.